You've finally saved up for that home improvement project you've wanted to do for so long. Maybe it's a newly landscaped front yard, a backyard entertaining space, a remodeled kitchen or an updated bathroom. Maybe it's something simpler, like upgrading the particle board furniture in your living room to create a grown-up-looking space where you're proud to receive guests. No matter what the project is, one of the best ways to make sure your remodeling dollars don't go to waste is to hire a home designer. Most contractors will execute whatever vision you provide them with, but few are design experts. Joe Human, an interior and architectural designer who runs designs by human in New York City, says many people think hiring a designer is unnecessary and view it as a high-end luxury service. But, he says, a designer’s goals are to keep you in your budget, get you the most design for the buck, save you time and open your eyes to solutions you may have never seen. Heading off potential problems that you wouldn’t have anticipated, saving you time and money. Coming up with a design that looks custom, not cookie-cutter. Choosing the best layout and materials to provide the functionality and appearance you're looking for. Making suggestions that you'd never have come up with on your own, like soothing, energy-efficient lighting or hidden storage solutions, to create a better final outcome. Helping make changes midstream if a project's execution isn't living up to your vision. Overseeing contractors to make sure they're executing the design correctly and fixing minor problems before they become major. Narrowing down a huge selection of furnishings and materials and helping you pick the ones that offer the best value. Many people are intimidated by the prospect of hiring a designer and assume they won’t be able to afford it. So we’ve talked to several professional designers about how much they charge. A flat fee for the whole project. A percentage of the project’s total labor and materials cost, where the percentage sometimes gets lower the more expensive your project is. A cost-plus fee, where their profit is the professional discount they get you on the materials, fixtures and furnishings they purchase on your behalf. Which one works best for most consumers? “Be wary of the seemingly affordable hourly rates because they add up quickly,” says Jenna Pizzigati-Coppola, founder and owner of New York City-based Pizzigati Designs, which specializes in eco-friendly interiors for residential and commercial spaces. It's best to stick with a fixed fee or flat rate to avoid surprises, she says. Prices range widely based on the designer’s experience and the level of service you want. 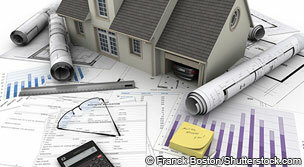 First, get designer on the phone to discuss the project scope, your budget and the designer’s fees. Get to know each other to see if the relationship seems like a good fit. This step should be free. Some designers even offer an initial in-home consultation for free, but it’s customary to pay a flat fee of $150 to $500, or an hourly rate as high as $200 per hour, for this service. Pizzigati-Coppola charges a flat fee for the initial consultation, but for clients that move forward, that fee goes toward her rate of $8 per square foot for a full-service interior design plan. For larger design projects with a decorating budget of at least $20,000, clients can also hire her as a project manager who oversees contractors’ design execution process, including painting and construction. She charges 30% of the total furniture budget for this service (which would be $6,000 for a $20,000 budget), but passes her trade discounts on to her clients. Since her trade discounts range from 20% to 50% off, the math can actually work out in the client’s favor. The initial $20,000 budget could get whittled down to as little as $10,000, plus her $6,000 project management fee. She gives her clients a complete, itemized invoice up front; there are no surprise fees. 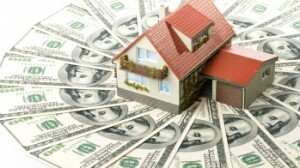 The interest rates for home equity loans and lines of credit are very low right now. 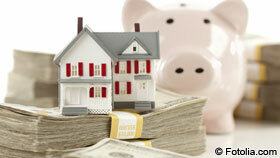 But if you're thinking about borrowing from your home's equity, take a conservative approach. That includes being careful about why you're borrowing. It doesn’t make sense to put your shelter at risk for nonessential purchases. Pizzigati-Coppola also offers a DIY design plan priced at $6 per square foot, with a $1,000 minimum for clients who are willing to measure and photograph their space, collect photos of designs they love and wait four to six weeks for a “color by the numbers” design plan. She selects everything a client needs to purchase, develops two floor plan options, creates drawings of the complete room design, provides paint chips and wall-covering options, and gives information on where to order each item and what it should cost. “It's a no-pressure type of design process that I find my clients really love,” she says. It’s ideal for clients who are on a budget or who live outside of New York City. Human, and several other designers we talked to, says he has varying fee structures for different types of projects. He usually charges 13% to 20% of the project cost for design, plus an hourly rate for project management. Since fee structures and rates vary significantly from one designer to the next, you should choose any designer you feel comfortable with whose pricing leaves no room for surprises and whose cost fits your budget. Overall, a designer’s value comes from dramatically increasing the probability that you like what you have when all is said and done. They’re going to make sure your renovation is functional, visually appealing and holds up well to use. And that’s what’s most important, because we don’t live in an HGTV world where home upgrades manufacture money. Spend $20,000 on your kitchen, and you might get back $15,000 when you sell — assuming you sell before that renovation becomes dated. What you’re really investing in is your home’s livability and functionality, and the pleasure you take in spending time there.